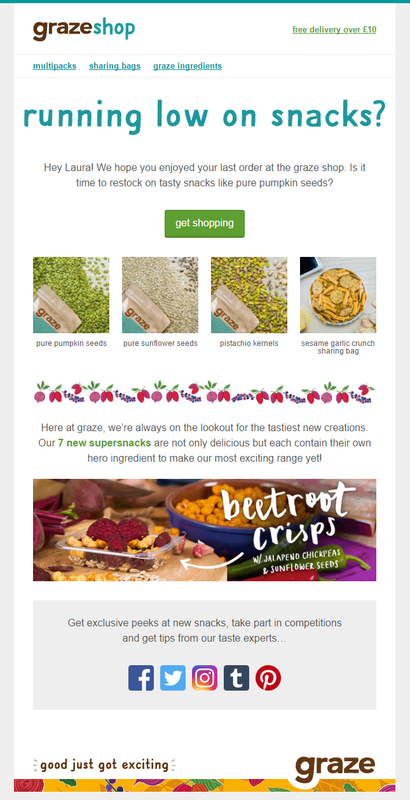 In this post we look at some excellent examples of replenishment emails used by retailers. 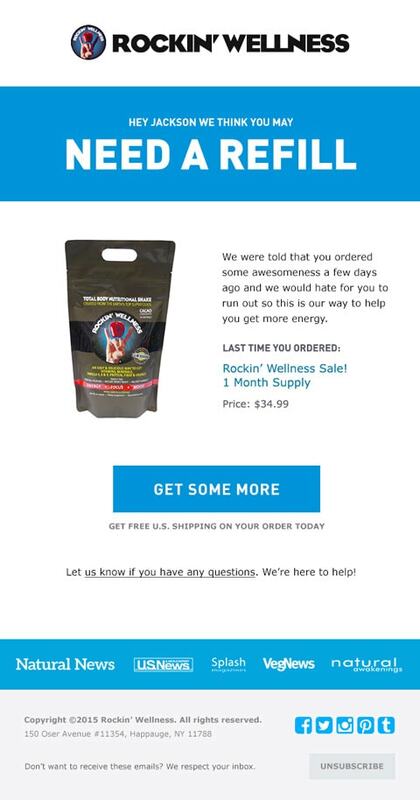 Replenishment emails are used to prompt customers to make a repeat purchase when the items they previously bought are about to run out. 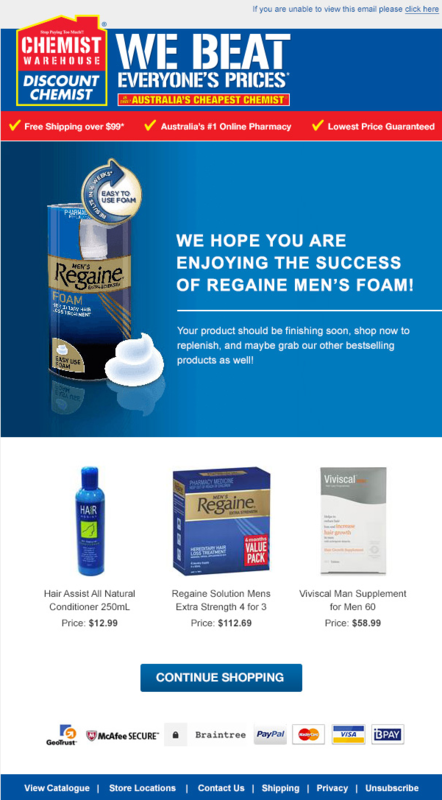 For example, a customer who has purchased razors can be sent an email to remind them of the need for restocking a few weeks after the purchase. 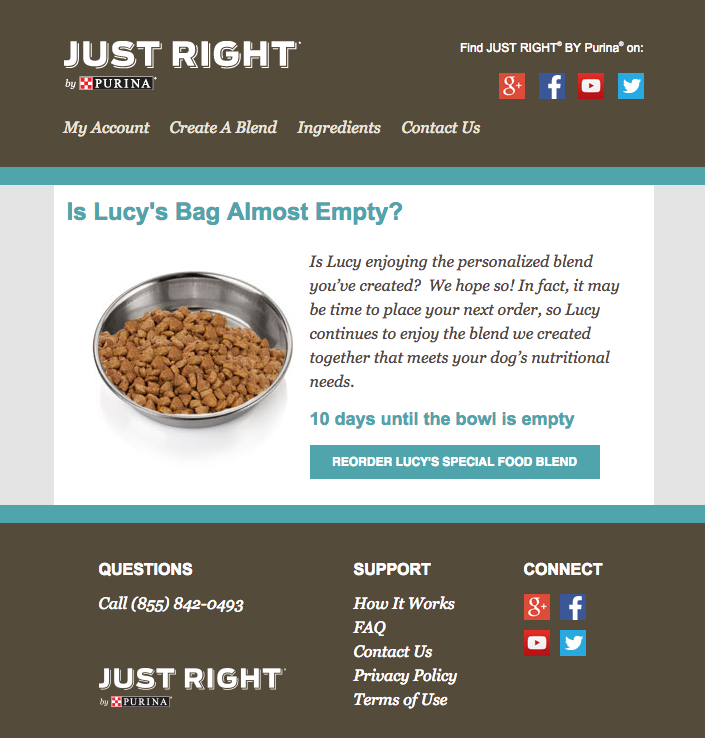 It’s about finding the right timing and making it convenient and easy for customers. Once customers have placed an order, we can time the sending of the replenishment email, with the aim of prompting the customer to re-order just as they need to. This can be done using based on timings based on each product’s shelf life. 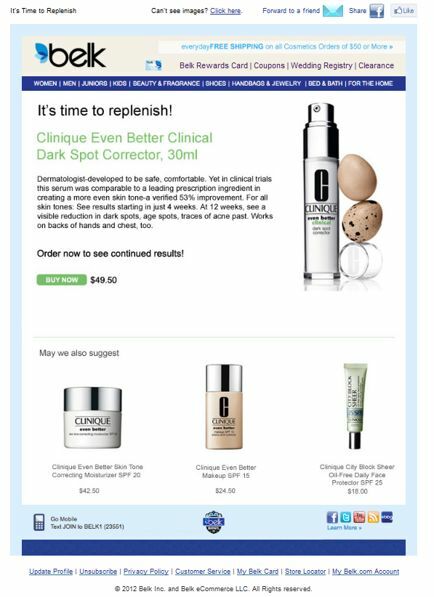 Data can be used to adjust according to customer response, while reminder emails won’t be sent if customers have already come back to buy the product again. The content of the email is all important. Dynamic content can be used to serve relevant header images, live pricing can be shown where items are on offer, and live trends data such as stock levels can be used to add urgency. 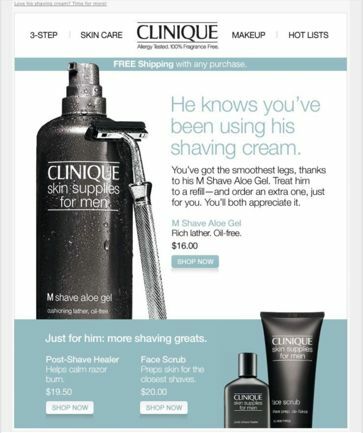 To make the purchase as easy as possible, these replenishment emails send customers to a pre-stocked shopping cart. 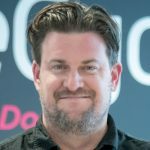 Next articleWhat Makes a Great Ecommerce Click and Collect Service?